Cat, Crown, and Turquoise, oh my. 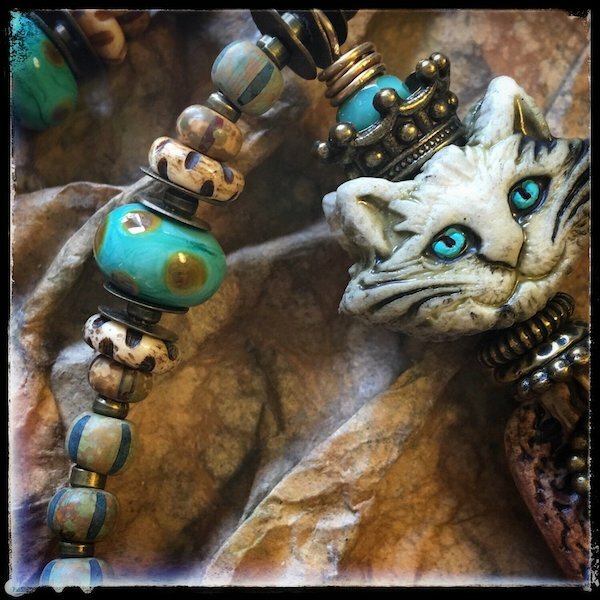 One of our porcelain cat beads combined with porcelain tablet to create necklace with beaded strand of mixed rustic czech glass, carved bone, bronze accent beads and Wayne Robbins glass beads. Just posted on Etsy.